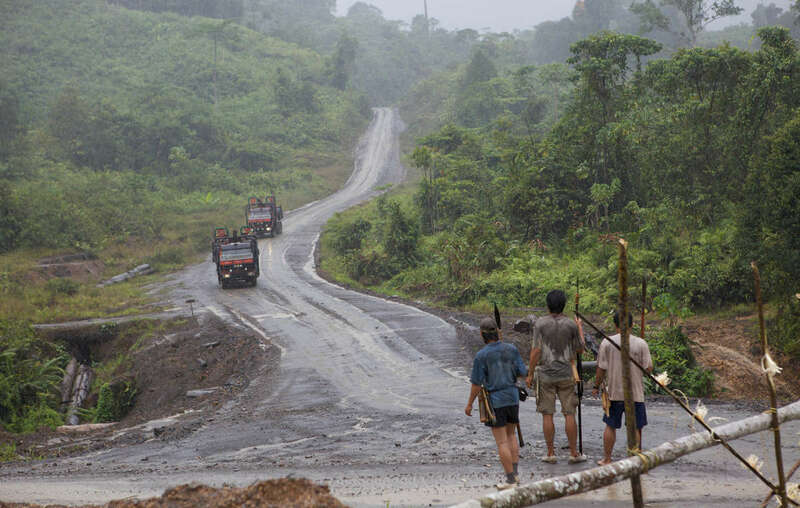 Penan armed with blowpipes block road as Shin Yang logging trucks approach, during a previous blockade. Forty Penan families, from the Malaysian state of Sarawak, are blockading in protest against the Shin Yang logging and oil palm plantation company for trespassing on their ancestral land. The Penan from Long Jaik, below the controversial Murum Dam, recently won a court case against Shin Yang for converting their land into an oil palm plantation. The court recognised the Penan’s rights over the oil palm plantation. Shin Yang is appealing the court’s decision. The 40 families, led by their village chief, Tugang Matu, have now begun a blockade to stop Shin Yang continuing to trespass on their land and to demand compensation. Survival International has received a message from the village urging it to alert the media to their protest. 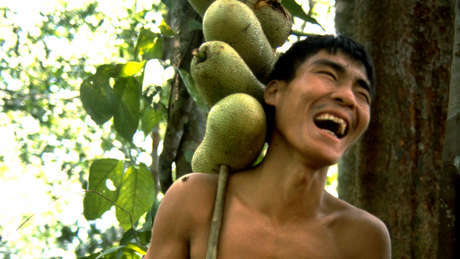 The Penan have been fighting for many years to keep logging companies off their land. 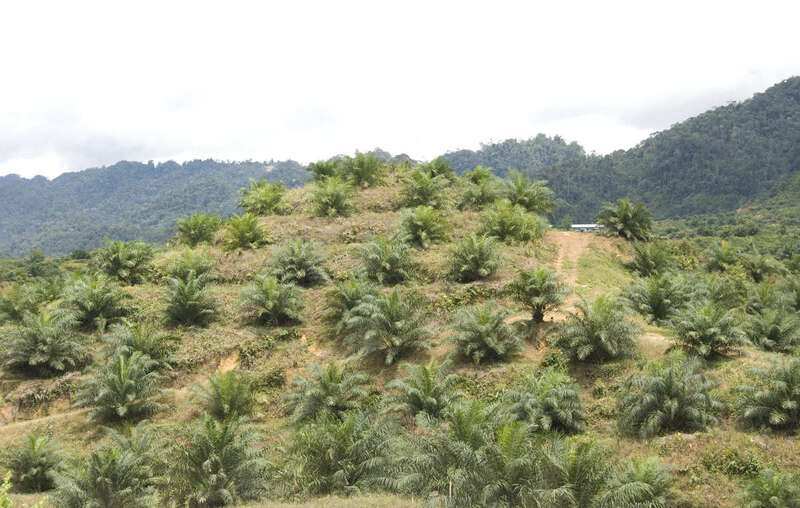 Oil palm companies are now moving into areas from where the valuable timber has been taken. The recent court decision is a major victory for the Penan, but they fear that it will be ignored and the company will carry on as usual. Shin Yang has established large-scale oil palm plantations on Penan land, often without consulting the Penan. It is also one of the biggest timber firms in Sarawak and is operating on large parts of Penan land.